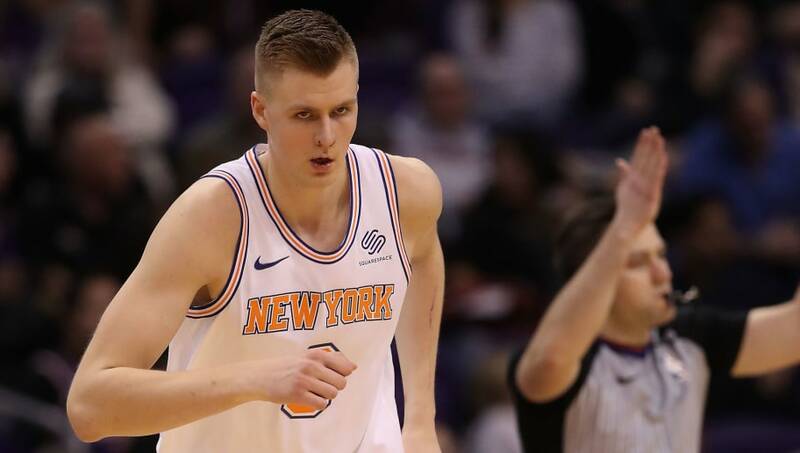 ​Kristaps Porzingis hasn't played in a game for the New York Knicks in almost a year, but despite that, he's still garnering plenty of interest from other teams around the league as a sneaky free agency target. Reports have indicated that the San Antonio Spurs are interested in pursuing the young superstar once he becomes a restricted free agent this offseason. It is unknown on how San Antonio would make it work, since they currently don't have much cap space to work with, but ​Porzingis would most certainly be a welcome addition for coach Gregg Popovich and the Spurs. Coach Pop has a history of grooming European talent, and the Spurs will do whatever financial gymnastics necessary to make this work. A lineup featuring DeRozan and Kristaps would be absolutely deadly in the West. ​​On the flip side, how disastrous would it be for a team like a Knicks to let their best player walk this offseason? Porzingis has been one of the lone bright spots for the fanbase and the organization in the past few years, and he should be a Knick for the remainder of his prime. This will certainly be a big offseason for New York, as not only do they have to give Porzingis a new contract, but they will also be in the hunt for superstar unrestricted free agents such as ​Kevin Durant.